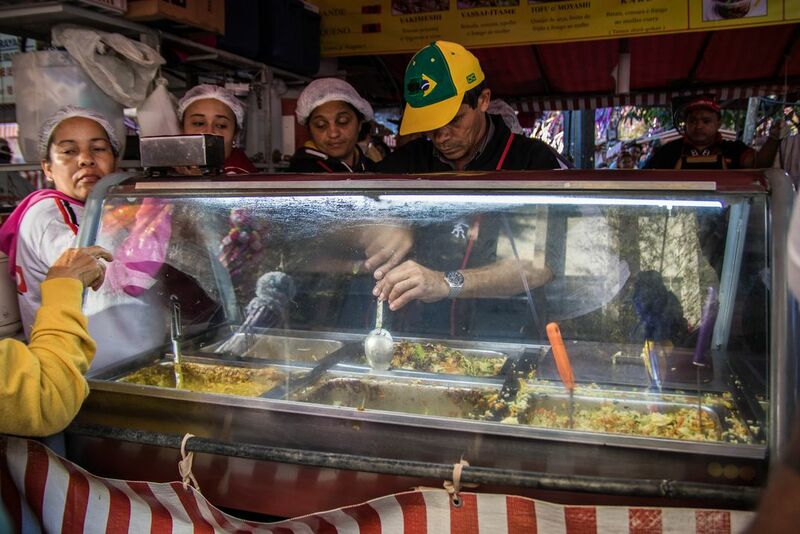 Vendors prepare food at a street market during the Festival of the Stars in the district of Liberdade in São Paulo, Brazil. Liberdade is home to the largest Japanese population outside of Japan. Date Uploaded: Nov. 29, 2016, 11:49 a.m.